Aamir Siddiqui in XDA Developers is no stranger to the shortcomings in present-day in-display fingerprint scanners. He thinks they have "a long way to go before they can completely and perfectly replace the conventional fingerprint scanners," but he foresees change. "In-display fingerprint scanners are fast gaining popularity, and we are surely going to see a lot more of them in 2019. While the current generation in-display scanners may not be quicker or even more reliable than the conventional fingerprint scanners, future generations of this tech will continue to improve on these areas to provide a better experience." Better news does seem to be in the wings; The Verge's Sam Byford, who covers Asia happenings, reported on in-display fingerprint sensors being worked on by Xiaomi. The news revolves around a new type of in-display fingerprint scanner technology which has been confirmed by Xiaomi President and co-founder, Lin Bin. GSMArena similarly described a "next gen under display fingerprint scanner." The new sensor will solve one big issue, and that is being unable to unlock the phone without having to look at the screen. User to fingerprint sensor: Hey, you're reading one tiny tiny area of my screen. Just. "This means you have to be very specific about where you tap your finger, and makes it almost impossible to unlock your phone without looking at the display," wrote Hadlee Simons in Android Authority. 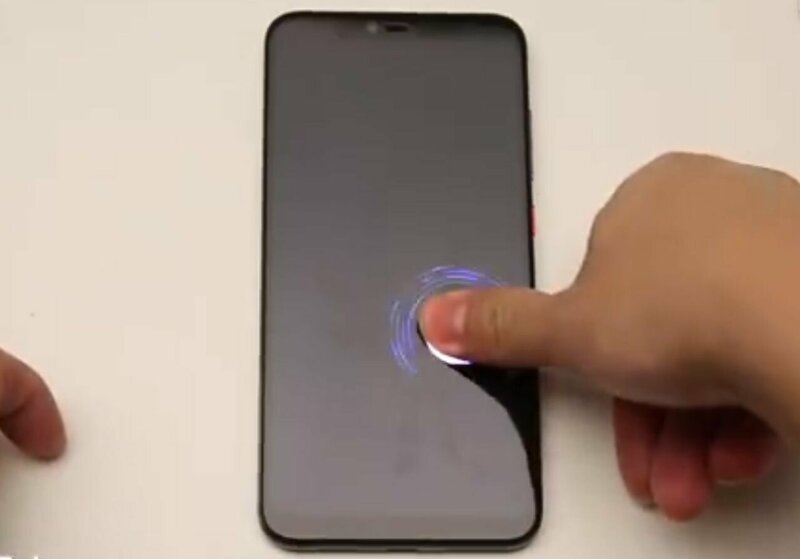 Byford reported on a video demonstrating a prototype phone with a new fingerprint sensor that has an active area of 25 x 50mm. Translation: users could unlock it more easily by tapping, Byford said, "within a much larger region than the thumbprint-sized scanners found on several phones released last year." Siddiqui similarly noted that "Xiaomi claims that you can unlock the phone without looking at the screen now, which shows off their confidence in the larger recognition area." Bam-boom. "You can set up your finger with only one tap and then unlock the locked screen with pressing pretty much everywhere," said GSMArena. Since the active authentication area is 25mm x 50.2mm, said Simons in Android Authority, "it's an exponentially bigger area than that found on commercially available in-display fingerprint sensors right now." GSMArena added, "According to Lin Bin, the unlocking area is 50 mm by 25 mm, which is more than five times the UD area now and over 15 times the standard scanner on the back, used by Xiaomi." On Friday, Ajaay Srinivasan, The Mobile Indian provided some background: "The news comes from a video posted on Bin's Weibo account which revealed the latest implementation of the advanced in-display fingerprint scanning technology. The video reveals a Xiaomi prototype device feature a new fingerprint unlock sensor which spans for an area that measures at 50 x 25 mm." Dates? Byford said Xiamoi president Lin Bin did not mention when such a device would become a shipping product. GSMArena noted what Bin had to say moving forward. If it has a "great reception among fans, the company will consider placing the scanner in future devices." If you have ever fumbled around trying to access your fingerprint scanner, you will appreciate this video, posted on January 15, showing Xiaomi's improved access design where unlocking does not mean you are required to look at the screen. Beyond the obvious advantage of being able to access the scanner more easily on the screen, there is another plus that was noticed by Sahil Kapoor in iGyaan: "Notably, the fingerprint sensor appears to be very fast and accurate."